I’ve written for this blog for several years now, which means I’ve created multiple Thanksgiving blog posts. This year I didn’t want to do the typical “have your kids list off everything they are thankful for” post. Yet my kids are still pretty young, and getting them to stretch past that is often beyond their capabilities. Then I remembered part of a sermon I heard a few months ago about gratitude. The pastor was challenging believers to move beyond the “elementary level” gratitude of thanking God for our blessings, and towards 1 Thessalonians 5:18 thankfulness: “Give thanks in all circumstances; for this is the will of God in Christ Jesus for you.” I was truly convicted by this challenge. Do I really praise God for my difficulties, or do I just try to focus on the good that happened and move forward? The second half of the verse assures me this is worth meditating upon… and worthy of teaching to my children. So after a few weeks of praying about how to teach this concept to kids, I don’t have a lot of ideas. What I do know is that it starts with us. We need to model authentic gratitude for God’s sovereignty. It can’t just be at the Thanksgiving dinner table. When we are stuck in traffic, we need to thank God that we are perhaps being spared from a situation or being taught patience. When we are sick, we need to praise God for the reminder that we are healthy most of our days, and to appreciate them. When our dishwasher breaks, we need to be thankful we have one at all! The list of opportunities goes on and on. I truly believe that when our kids see us model this in a genuine fashion, they will be inclined to follow. Play Highs/Lows. This is a typical game for the dinner table, but consider adding a twist. Perhaps when a family member shares their low for the day, challenge them to see a blessing in the disappointment. I believe it is still important to show empathy for the hurt feelings or sadness your child experienced; we aren’t asking them to be robots, we are asking them to model seeking God’s perspective. Play “The Gratitude Game”. I saw this https://teachbesideme.com/gratitude-game-pick-sticks/ idea recently. Basically, you have a group of colored straws or popsicle sticks. When someone picks up a red straw, they can thank God for a person in their life, for orange a place, for green a food, for blue a thing, and for purple they get to pick. My suggestion is that if your child picks purple, encourage them to find a blessing in a hard situation. When your turn comes, you do the same. Incorporate 1 Thessalonians 5:18 thankfulness into your prayers. “Lord, we thank you for this opportunity to see your hand at work.” “Jesus, thank you that you are our provider and that we know you will provide even when we don’t understand how.” “God, thank you for the testimony we will have when you work in this situation. Thank you that our character is being refined in this trial.” When our kids hear these prayers repeatedly, they will be more likely to speak to their Savior in kind. Pray honestly. Sometimes you may not be able to see God’s goodness. I think it’s okay to let your kids hear you ask for it. “Lord, we want to trust you in all things. We know you are good, but we are hurting right now. Please show us how you are working in this.” Kids don’t need a mother who is in denial of her true feelings. They need a mother that trusts her feelings to her maker. Hang on a second—two of my boys just destroyed an entire banana cake I made for company and the evidence is all over the floor. Where was I? Thankfulness, right?! Okay, thank you, Lord that I have more ingredients to make something else! I’d like to share two personal, recent examples that I will be sharing with my kids this Thanksgiving season. These two situations are ones my sons have walked through (at least partially) with me, so I want them to see my gratitude. First of all, I am thanking God for how He has shown up in my three-year-old’s allergies. At one-and-a-half, he was diagnosed with 21 food allergies; thankfully he has outgrown all but 8 of them. We are about to undergo testing to see if 3 more can be incorporated into his diet. It has been challenging for our entire family, but so cool to celebrate together each time he is healed of an allergy! We’ve had cashew and coconut celebrations, gluten fests, and a pistachio party. We are facing this challenge together as a family, and Everett knows how we love him and want him healed of every last one. What I praise God the most for however, is the character my little boy is growing in the midst of this. He has incredible self-control and a sense of responsibility; he knows to ask before he eats anything, and he has a FANTASTIC attitude when we tell him no. In fact, 99% of the time he responds with, “That’s okay! God is healing me! Maybe I can have that next year!” This young man knows the power of God at work in his own body! Could a mom be any more proud? Also, his brothers are learning thoughtfulness and conscientiousness. They can’t just eat a nut and leave the table. They know they need to wash their hands immediately and clean off their spot. They have also become great prayer warriors! They regularly ask God to heal their brother. Here Everett is with a watermelon cake. 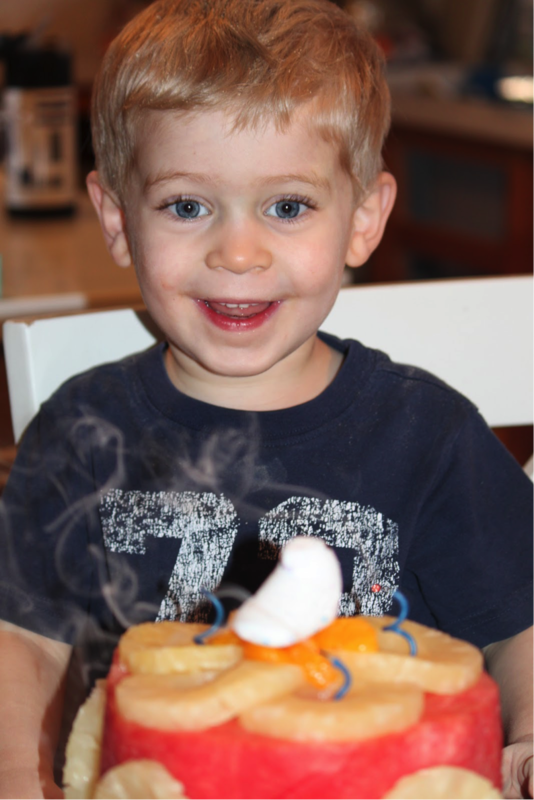 He had absolute joy and wasn’t focusing on how he was missing out… boy, can I learn from him! Another situation we are praising God for is the recent birth of our healthy baby girl. There were so many challenges during my pregnancy with her. Upon finding out I was pregnant with her, I bled heavily for a full month. All the while, I was vomiting repeatedly, sometimes up to 20 times a day. This lasted for ⅔ or the pregnancy. Next, I had a hernia, which made me look huge for most of the pregnancy. Then my whole family and I got the flu. Then I got food poisoning. Then I hurt my back. Then I was diagnosed with gestational diabetes and had to take my blood sugar 4 times a day, eat a specific diet, and write down everything I ate (all things a mom of 3 has time for, right?). Then we found out the baby was breech. I was so over being pregnant at this point! (I am someone who puts an enormous amount of energy into being a healthy environment for my baby, so to have all of these challenges, it was humbling and frustrating.) Anyway, upon finding out the news, I came home, and my three little boys, and my husband put their hands on my big belly. They each prayed for God to turn our baby girl. They talked to her as they had throughout the pregnancy. “Baby, we are so excited to meet you! We need you to turn your head so you are upside down. Then put your feet up here so you can come out. Can you hear me? Okay do it now!” While I was doing crazy upside-down exercises to help her move, my son would crawl under my tummy and talk to her some more. What a blessing to see the faithfulness of children in prayer! Well, the time came for me to go for an ultrasound and see what the baby’s position was…. And she turned!!! It was highly unlikely that it would happen, but God moved on our behalf. We were so incredibly thankful, and the best part was that we were able to share the depth of joy with our sons! I pray that the seeds of seeing God at work are planted in their hearts through this testimony. Next came the birth… and I am thrilled to say it was my easiest birth. Blessing after blessing ushered in the arrival of Adeline Eden. She is healthy and beautiful and a wonderful addition to our family. I truly believe that the frustrations during the pregnancy have made the blessings so much sweeter. And so I can honestly say, thank you God for it all. And now I get to see my sons embrace their baby sister. Perhaps God was already cultivating a protective love in their hearts for their sister the whole time. I know my trials are small right now. For this I am thankful. And sometimes if I am honest, I have an easier time giving thanks through great challenges than through small disappointments. Like why is it so hard to give thanks for the baseboards and carpet I was hoping were replaced? Or for the trim that isn’t painted yet? I still have lots in which to be sanctified. But I will keep pursuing “the will of God in Christ Jesus” for me (1 Thess 5:18). I hope you have much to be thankful for this season. Yet I know there are many going through trials right now. Maybe you were expecting to embrace a child by this time… maybe this is your first holiday without a loved one… maybe you or someone you love has received a difficult diagnosis… Whatever it may be, I pray that God reveals His goodness to you through it and that your heart will be able to praise Him. Posted on November 15, 2017 by Stephanie Hickox and filed under Building Your Faith and tagged holidays teaching faith to kids. I had the blessing of growing up in a Christian home. My dad was a pastor, which made me a PK (pastor’s kid). I was continually surrounded by prayer, Scripture and biblical teaching. I remember as a little girl praying to receive Jesus as my Savior, and yet I also remember struggling to feel like I was really saved for many years. I feared if I would die, I would go to hell and suffer for eternity. I would ask Jesus into my heart several times over the years and then feel guilty because I had already asked and would wrestle over my lack of faith and belief. The Lord ended up leading me to college at Moody Bible Institute and I will forever be thankful for listening to His prompting to go there. My foundation for understanding Scripture was strengthened, my love for God increased, my faith deepened and I met Mark, my husband there: a major bonus! My faith began to grow as I learned more of Who God was and is. Mark 9:23-24 says, “Jesus said, ...‘All things are possible for the one who believes.’ Immediately the father of the child cried out and said, 'I believe; help my unbelief.'" I am sure I heard this verse many times growing up but it wasn’t until I was a bit older that this specific cry of the father to Jesus penetrated my heart. As this prayer began to settle in my heart, the Lord used this to breathe life into my prayer and deepen my faith. My faith journey continues and now that I have children, one of my biggest prayers has been for them to have a big, strong faith! I am continually trying to love, grow, teach, nurture, discipline, strengthen, encourage and ready my girls for each day of life they are given. My heart longs for my girls to continue and develop their own faith and grow mightily in the Lord. What does it look like to cultivate and grow their faith in the everyday routine of life? I wish there was a cookie cutter answer, but the reality is, each child, each parent, each home, each circumstance, each life that we live, is different. Therefore we interact and teach them according to our present life environment and culture. Although we are all different, thankfully God is not; He is the same yesterday, today and forevermore. Pray with them. Your children have such a sensitivity to the heart of the Lord. Matthew 18:2 “Truly, I say to you, unless you turn and become like children, you will never enter the kingdom of heaven.” What profound truth this Scripture reveals for our kids’ hearts: they are ready to hear from the Lord. Pray over them, pray for them and have them pray out loud. Let them hear you pray for them in a deep way. Pray for things that are going on in your lives that are difficult and they will learn to pray in these situations as well. We are teaching them what prayer looks like by how we pray with them and for them. Be willing to discuss prayer requests and answered prayers. If we are willing to pray through deeper, real life issues and needs with our children, then we need to be willing to discuss when we are waiting to hear from God and when He answers those prayers. God always answers prayers, maybe not in the way we desire, or even in our timing, but He does answer. So, it’s important for our children and their growing faith to talk about how God is at work in it all. We need to have daily reminders of God’s character and how He doesn’t change even if we are in the “waiting period” of a prayer request. I remember countless times talking with the girls after we prayed for God to provide a specific job we were all wanting for Mark. While we were waiting, we all prayed and cried out for the Lord’s provision every morning for this job. The Lord gave me wisdom to talk with them after every single time, explaining if God didn’t decide to provide this job we all wanted, He was still good and faithful and would provide something even better. It ended up not being the job God provided and yet because of the continual open dialogue with the girls, their faith was not shaken. Of course there was great disappointment and pain, but their faith grew through this. Scripture memory. Have your children memorize God’s Word! My father is a first generation believer and as early as I can remember he taught us Bible verses that we recited every night. He was teaching us to hide God’s Word in our hearts. I can’t even tell you how many verses I have memorized from this practice with my dad, and what a blessing it is when God brings them to mind. I will always have those Scripture verses resonating within my heart. I was deeply convicted that I wanted to continue the legacy my father started when we had our own children, and teach them Bible verses to hide in their hearts. My girls were about 2 when they memorized their first verse. I still have them recite 3 verses every night and we continue to learn new ones. When we were going through a hard time as a family in transition, we even had a family memory verse that we would talk about with them. Scripture memory is powerful and helps solidify our faith. 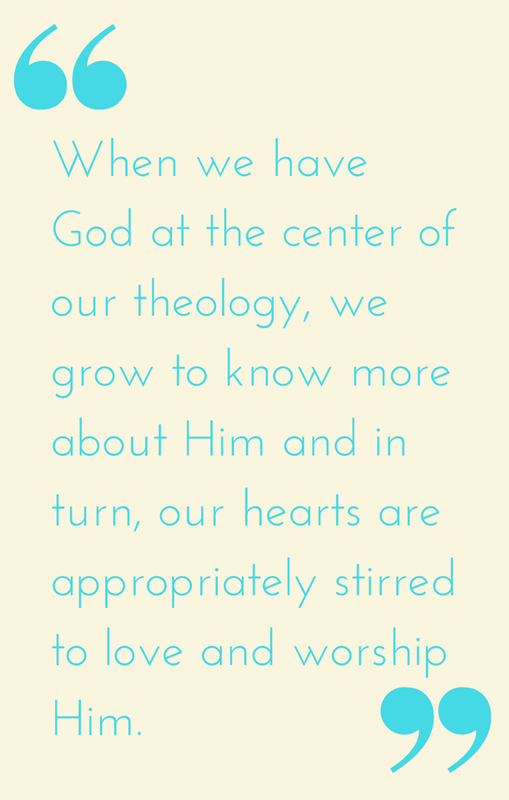 There are many different ways to help cultivate faith in the heart of a child. I hope and pray as you wrestle through how God wants you to nurture your own child’s faith, that this is a springboard to further explore what God has for you as a parent. Blessings to you! Posted on October 18, 2017 by Amy Zurowski and filed under Building Your Faith and tagged teaching faith to kids. As I’ve proclaimed many times on this blog, Easter is my favorite holiday. I love all of the ways to celebrate, several of which I wrote about last year. And who could forget the beautiful, simple tablescapes Laura has inspired us with or her simple approach to beautifully colored Easter eggs, the sweet treats Easter gives us an excuse to indulge in… and even the many ways to use the leftover eggs! The idea I want to share with you today is one I’d never heard of until recently, and it came at the perfect time for my family. Recently, I felt the Lord stirring in my heart, asking if I was focusing enough on “grace.” Those who are near to me know I sometimes still struggle to accept my own weaknesses and failures. With all of the correction, consequences, and instructions I provide to my young children, I’ve wondered if they are truly understanding the grace and forgiveness our Savior offers. I don’t want to teach my sons behavior modification; I want them to know that the kindness of the Lord leads us to repentance and that God’s rules are always for our good! 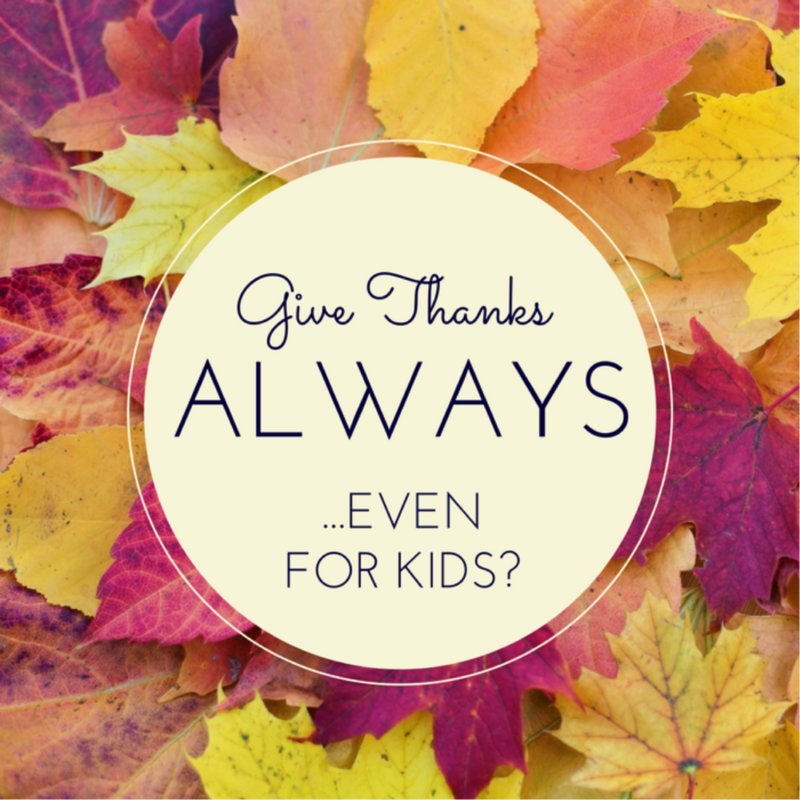 I’m so thankful the Lord prompts me when my parenting pendulum is tilting to one side. “Easter is coming, and Sam loves Easter! But this year, he is upset about a lie he told his parents. Even though he apologized and they forgave him, Sam can't shake the feeling that he is a bad kid for what he did. Meanwhile, his parents help him make a special Easter craft called a Sparkle Egg. His mom tells him to write anything he feels sorry about or ashamed of on a piece of paper and put it inside his Sparkle Egg. On Easter morning, when he opens his Sparkle Egg expecting a surprise, Sam finds that it is empty! His parents explain that because Jesus died and rose again, we are forgiven. Like the tomb that first Easter Day, Sam's egg is empty — and Sam's wrongdoing is completely forgiven. Once he accepts this forgiveness fully, Sam realizes a truth: we can sparkle and shine with God's light when we let God's gift of grace into our hearts. I hope this idea blesses your family or inspires you to focus on His grace in a new way this Easter! Posted on April 12, 2017 by Stephanie Hickox and filed under Building Your Faith and tagged holidays teaching faith to kids. Reading this passage explains why we're so tired...this parenting thing is so daily. By way of encouragement…the photo below fell out of my journal this morning.... and this was BEFORE we had 5! Just the four kiddos, 4 and under...when to sum it up, these were the spanking-after-spanking years. The crying and drooling and mushed food all over the dining room floor while toddlers sat holding vegetables in their mouths during dinner that they refused to eat for years. Can you relate? Adyson's hair is short in this picture because she MADE Kytn cut it one afternoon. Yep, told him, you will cut my hair or I will scream. So away he chopped. And Avery Mae, she only ate and yelled all the time. The hilarious, hard, physically exhausting, wanna bang your head against a wall season. The season where you feel most days like all the intentional training is not working and you’re just doing the same routine over and over and disciplining for the same things over and over!! BUT.... ten years have somehow passed, and now I am looking back... and let me tell your weary, young mama heart something: it was worth every spanking and reminding and repeating and doing all the "hard things" that are no fun. It was worth doing all the things that you think make you the meanest mom in the world and that are for sure, gonna make your kids hate you. And those kiddos of yours begin to know as they grow and hear you speaking that truth to them, my mom is "doing" (living out) that verse every time she disciplines me. They recognize that we are being faithful to do what we, as parents have been called to do. I've said it before and I'll say it again, it’s not about being your kids’ friend, it's about being their mom — their parent. Doing what's hard, over and over again in a consistent, humble and balanced way. 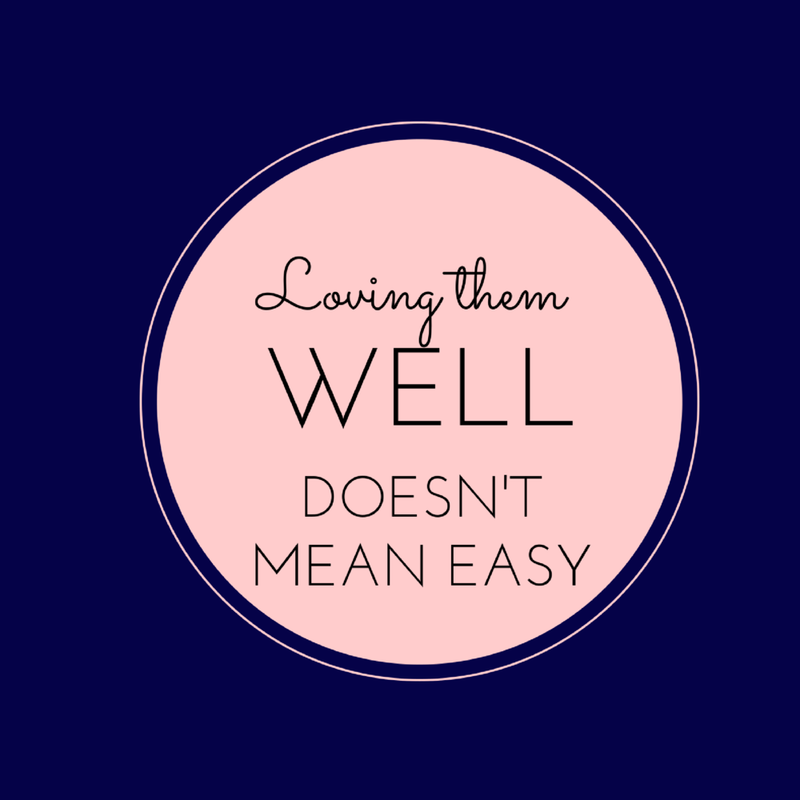 Loving them well through the little years doesn't mean easy. It actually kind of sort of, basically means the opposite for parents. It's hard! It's "in the trenches" day in and day out work for those first 6 years of their little lives. So keep doing all the things. Fight for your child's heart, will and mind. I promise you won't regret it ten years from now when you have a 14-year-old in your home like I do. Keep keepin’ on. always abounding in the work of the Lord." Posted on March 1, 2017 by Heidi Wolf and filed under Building Your Family and tagged teaching faith to kids. My boys are little and have never sent a text. Perhaps a few times we’ve typed a message to Daddy together, but overall they are quite young and not ready for the privilege of phone use. Still, I see that they are being affected by the emoji craze all around them. Stores sell pillows, candy, and pencils with emojis on them. Television incorporates their use. I’ve even used emojis to create a back-to-school party. These little symbols are efficient and fun! While part of me enjoys this trend in communication, I have sensed God putting a caution in my heart to teach my children about the importance of words. I am not concerned about the use of emojis per say, but moreso in their overuse or inappropriate use. My pondering particularly involves two key areas: 1. Communication between males and females, and 2. Losing the importance of words to communicate. This isn’t going to be a post with clear action points. I’m not going to tell you how to think or act on the topic. I just want to encourage you to think about it. Sit down with your son or daughter if they are old enough to text. What is appropriate? Should your home have guidelines for guarding hearts in the texting process? What kind of communication will your family be characterized by? Someday my little boys will be young men, and they will want to pursue young ladies. While the appropriate words to use may have clear guidelines, what will the boundaries be with emojis? Will it be okay to send a young lady the “heart eyes emoji” when they are just starting to pursue her? What about if my son is just texting a friend and has no intention of dating her? I know I may sound extreme here, but I’m young enough to remember how fickle my teenage heart was and how swayed it was by communication from boys. I remember how a smile could have my friends and I envisioning a prom dress. It seemed that boys never understood how their actions or words affected young women, and I doubt much has changed. Now we are introducing a new means of communicating to them. With it comes power. Let’s not leave ladies out on this topic. Clearly they have a responsibility to honor young men with their communication as well. How should they communicate? How should they respond? Perhaps emojis will be seen as just an image, and not much more. Maybe our children will be desensitized by their use, and I’m foreseeing nothing legitimate. However, Matthew 12:36-37, records Jesus saying, “I tell you, on the day of judgment people will give account for every careless word they speak, for by your words you will be justified, and by your words you will be condemned.” I’m not willing to take that gamble by not addressing this point with my children. We will absolutely be having this conversation in my home. I would also like to address the language of texting acronyms and emojis that has become so commonplace. I don’t want to overreact, but I don’t want to let the importance of the spoken and written word to be lost on this generation. Our God wrote a book. He spoke poignantly, clearly, and thoroughly to His people. We are created in His image. We are meant to communicate with one another. I believe God values efficiency. But not more than he values people’s hearts. He understands the culture we are in, yet He does not excuse us from building up our brothers and sisters. For a birthday, you can send a cute “Happy Birthday!” text with cake and balloon emojis, and it will be a sweet message to a friend! You could also say, “Happy Birthday! Your genuine, faithful friendship, witty sense of humor, and positive outlook truly bless me. I’m thankful you were born and that God placed you in my life!” I would like to train my children to communicate like the latter. Maybe this topic is specifically on my radar because I tend to receive love through words of affirmation, but I think most people enjoy thoughtful encouragement! We are called to build up the body of Christ. Words are one key method for doing so. May God bless you as you guide your children in righteousness! Posted on October 19, 2016 by Stephanie Hickox and filed under Building Your Faith and tagged faith teaching faith to kids. For those of you who don’t know, my husband resigned from his pastoral job last July and we are still in the thick of transition. We moved our family from the West Coast back to the Midwest and are currently living with my parents. The reality that we have hit the year marker is truly daunting. However, the Lord has met us deep in the trenches of a messy but beautiful journey and for that we are so grateful. There are countless ways we have seen the Lord’s grace and goodness and I’d love to share what He has been laying on my heart lately. 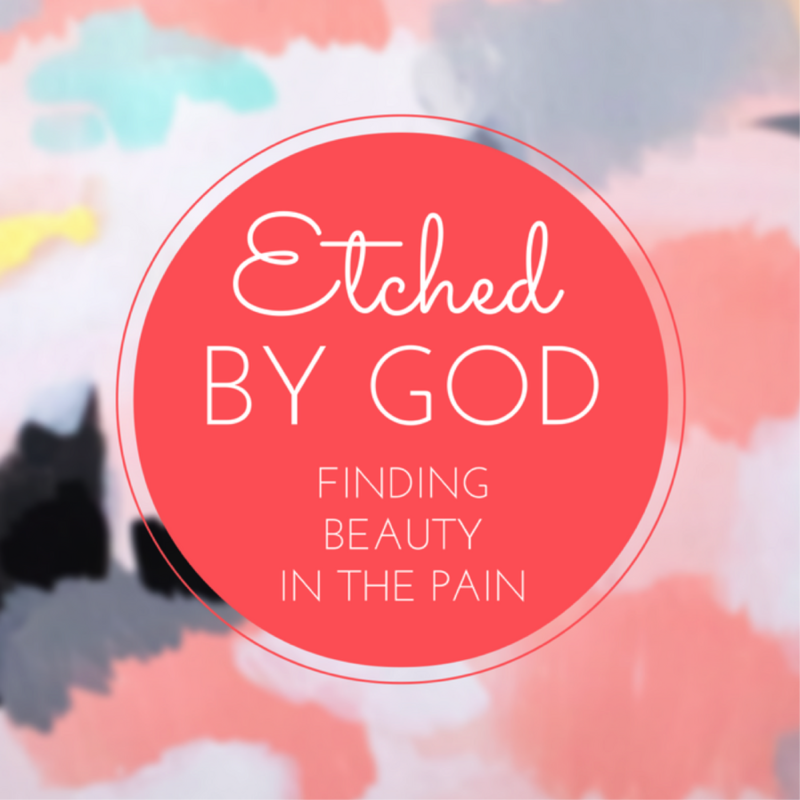 I loved Stephanie’s post in June when she beautifully addressed the need for bringing our kids into the process of trials and yet still seeing God’s goodness through it. She gave 6 steps to implement this practice with our children. If you haven’t read her post I strongly encourage you to head on over and read it here. I want to share with you how we have brought our own girls into the process of transition and pain and the impact I have seen through that. A couple years ago through some dear friends, we were given the advice to bring our girlies into the process of transition alongside of us. We felt strongly as a couple that this was the right choice for our family. That meant they could pray along with us and not be surprised by any sudden decisions or moves. We were all over that! As the first “family meeting” drew near we began to feel some apprehension of their capacity to deal with change. We feared their response in that and how it would affect them. At the time they were only 8 and 10. We saw first hand how their perfect little paradigm was suddenly broken wide open. There were questions, tears and disappointment. Yet, they both acknowledged that they were happy to know what we were thinking and able to be in on the process of a potential move. As we continued to process with them and the time drew near to let them know we were moving, it was difficult to say the least. But through their pain and disappointment we also saw a depth of understanding and a renewed sense of belonging to our family and calling. Fast-forward a year later and we have experienced much heartbreak on a living/emotional/stability level. We have continued to process through each potential job that has come up with them. We have daydreamed about what it would be like, even visited a number of different places as a family to then have the Lord either close the door or give us much unrest and we shut the door. The most recent job prospect was probably the worst. We had earnestly prayed about whether this was God’s place for our family. We had visited and fallen in love with the area, church, people and culture. It was down to two candidates: my husband and someone else. This was a five-month process, so as a family, a lot of dreaming and imagining our life there had taken place. So in that, we explained to them, even if this wasn’t what God had, that meant He was protecting our family and had some better place for us. When we received the call they had chosen the other candidate, my thoughts instantly settled around my girls. When we told them, there was nothing to prepare my heart for the pain that ensued. Literal wailing and tears from one daughter and deep, painful crying from the other. My heart immediately broke into more pieces than I knew possible. However, as we processed, cried and prayed, it drew our family even closer together. As I have reflected on all of this since, in the recesses of my heart I have heard a continual whisper, “Should we really have let them enter into this process so deeply?” I saw the tremendous pain and the weight of trying to comprehend something that Mark and I were even having a hard time grasping. But in that loss, the Lord began to show me purpose in the pain. I started to see the etches it was beginning to leave on their lives. As I saw those etches more deeply engraved, the Lord showed me that they were beginning to take shape in a tragic but beautiful way. On one hand their innocence was being taken away and yet on the other hand God had marked them. He had marked them for greatness. He had marked their lives and their own journey through this trial. He was enfolding our journey into their sweet little lives. I cannot wait to see how God will continue to use it and transform their lives to impact others. Because of their pain and depth of understanding, something so beyond their years, I believe part of the impact they will have is a greater sensitivity to others and their pain. They will be able to speak in and come alongside someone else from a place of pain they have experienced. Nothing is wasted with the Lord. Nothing. The Lord tells us in His Word that we will have momentary affliction but to not lose heart, for it is nothing compared to the weight of glory that will be revealed to us. We memorized the following verse as a family about a month before we knew the outcome of that job and it was life-giving for us. I don’t know the journey you are on, the trials and pain that you have lived or continue to live, but one thing I do know is that the Lord has paved the way. If I can encourage you in any way, let it be this: God knows our hearts and our children’s hearts and He sees our pain. He was there before it all started, calling us by name. He is present with us now, hiding us in the shelter of His wings. He goes before us and He is already at the finish line, cheering us on. He takes the broken and creates the most beautiful masterpiece if we allow Him access. Don’t be afraid to bring your children into the painful aspects of life; through it they will experience a depth of joy that is unbridled, for they will have experienced pain as well. God orchestrates circumstances in our lives that we cannot always comprehend, and yet through His grace and goodness He transforms our lowly hearts and makes us stronger because of them. Posted on October 5, 2016 by Amy Zurowski and filed under Building Your Faith and tagged faith teaching faith to kids.